This week the UN Human Rights Committee will begin its second review of Turkmenistan’s compliance with the International Covenant on Civil and Political Rights (ICCPR), a core human rights treaty ratified by the Central Asian country in 1997. The Human Rights Committee first reviewed the situation in Turkmenistan in 2012 after the government of the country submitted its initial report under the ICCPR with over a decade’s delay. At the end of that review, the Committed adopted highly critical conclusions about Turkmenistan’s human rights record. This time the Committee will examine the government’s second periodic report about its implementation of the ICCPR and assess progress made since 2012. An alternative report submitted to the Human Rights Committee by Turkmen Initiative for Human Rights (TIHR) and International Partnership for Human Rights (IPHR) highlights the lack of any significant human rights progress in Turkmenistan in the last four years. For the stated purpose of improving compliance with international human rights standards, the Turkmenistani authorities have recently adopted a first-ever National Human Rights Action Plan and developed and adopted new legislation on human rights protection. However, so far, these steps have not resulted in meaningful improvements in the lives of citizens, and fundamental rights and freedoms continue to be seriously infringed in the country. TIHR’s and IPHR’s report details concerns in a number of key areas covered by the ICCPR, including: wide-ranging violations of freedom of expression, assembly and association; repression of independent civil society actors; arbitrary bans on travel abroad; imprisonment of inconvenient individuals on politically motivated grounds and the disappearance of such individuals in prison; forcible evictions without due legal safeguards, and other violations of the right to protection of private and family life; and legislation and practices curtailing freedom of religion. The alternative report prepared by the two organizations is based on information obtained by TIHR through its monitoring of developments in Turkmenistan with the help of an in-country network of activists, as well as analyzes of national legal instruments and other relevant information. 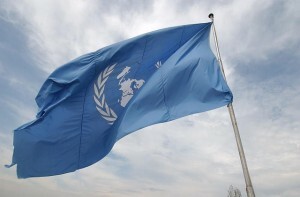 At a closed meeting scheduled to be held on 5 July at its session in Geneva, the Human Rights Committee will begin examining the current state of human rights protection in Turkmenistan on the basis of the new periodic report submitted by the Turkmenistani authorities, as well as information from other sources, including NGOs. The Committee will adopt a list of questions that the Turkmenistani authorities will be requested to respond to ahead of the final stage of the review, which is expected to take place next spring and will involve a face-to-face exchange with Turkmenistani government officials. In their alternative report, which was submitted to the Human Rights Committee in March 2016 in accordance with the Committee’s schedule, TIHR and IPHR provide recommendations for specific questions to address to the Turkmenistani authorities in different areas covered by the ICCPR. IPHR’s and TIHR’s report to the UN Human Rights Committee can be downloaded here.